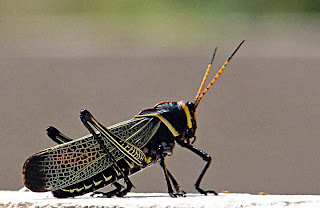 Animal Wildlife | Grasshopper | The grasshopper is a medium to large sized insect and the grasshopper is found (close to grass) all over the world. 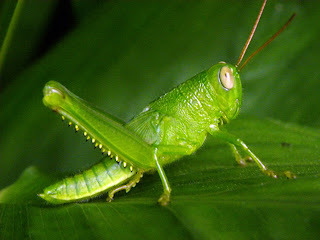 Grasshoppers are best known for their ability to jump incredible heights and distances. Most grasshopper individuals grow to about 2 inches long although larger grasshoppers are found on a fairly regular basis that grow to more than 5 inches in length. 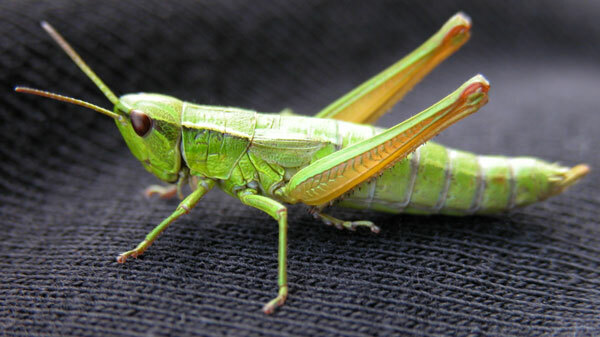 The grasshopper has wings meaning it can migrate over long distances when the weather gets too cold. There are 11,000 thousand known species of grasshopper on Earth, that live in grassy areas such as fields and meadows and forest and woodland. Like all insects, all species of grasshopper have a three-part body that is made up of the grasshopper's head, it's thorax and the abdomen. Grasshoppers also have six legs, two pairs of wings, and two antennae. The antennae of the grasshopper are known to be remarkably long and can often be longer than the grasshopper's body, although the grasshopper's antennae and the grasshopper's body are normally about the same size. Grasshoppers use their long antennae in order to make sense of their surroundings. Grasshoppers have six jointed legs that are incredibly powerful for such a small creature, as grasshoppers are able to jump extraordinary distances. The two back legs of the grasshopper are long and powerful and are just for jumping, where the four front legs of the grasshopper are primarily used to hold onto prey and to help it to walk. Despite their large size, grasshoppers are herbivores animals and have a diet that consists solely of plant matter. 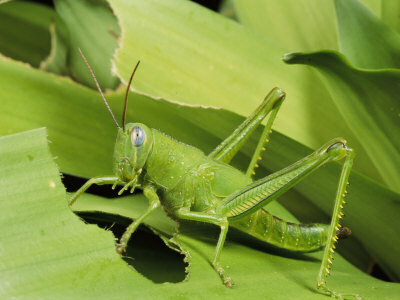 Grasshoppers eat grasses, weeds, leaves, shrubs, bark and numerous other species of plants that surround them. The grasshopper is also a stable food source for many predators around the world including reptiles, insects, small mammals and birds. 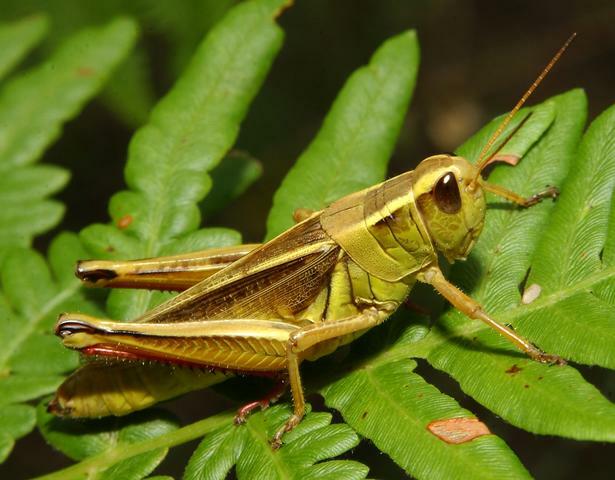 It is common for humans to eat grasshoppers in places like Asia and Africa where the bigger species of grasshopper are found, and there is a less readily available alternative protein source. The female grasshopper lays an egg pod that contains a couple of dozen grasshopper eggs in the late autumn to early winter depending on the area. The female grasshopper inserts her egg pod into the soil so that it is a couple of inches underground. The grasshopper eggs can take up to 9 months to hatch as they wait until the weather has warmed before breaking into the outside world. When the first baby grasshopper (known as a nymph) hatches out of it's egg, it tunnels through the soil and up to the surface, and the remaining grasshopper nymph follow. 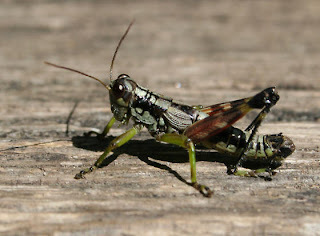 As they get older, the grasshoppers will increase in size until they are adults. 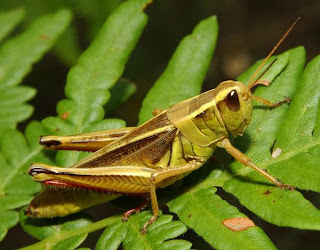 The grasshopper only remains in this stage (young and adult) for a few months before it dies meaning that most grasshopper individuals spend the majority of their lives inside an egg.